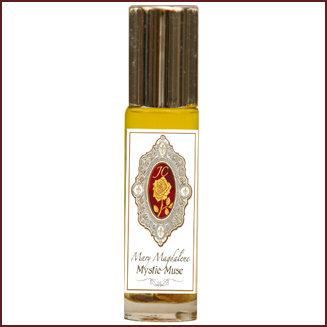 An enticing combination of magical ingredients which awaken the inner mystic to come forth and inspire the creative spirit to be elevated to the holy joy of one's authentic being. "I Am the Mystic Muse. I Am the spirit of Love and doing all things with great love and joy." From the Magdalene Collection. Mystic Muse. Teaching of Ecstatic Joy. Contains: Palo Santo, Rose Absolute, Frankincense, Blood Orange and more.